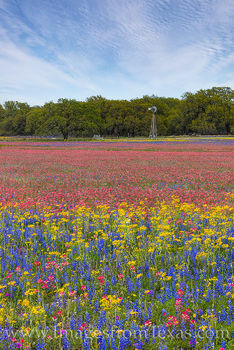 South and east of San Antonio produced some of the best wildflower displays I've seen in many years in 2019. 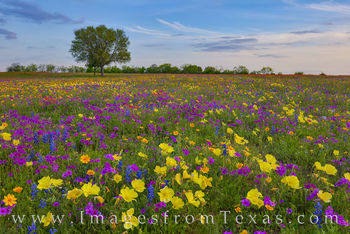 The areas around Poteet and New Berlin were amazing. 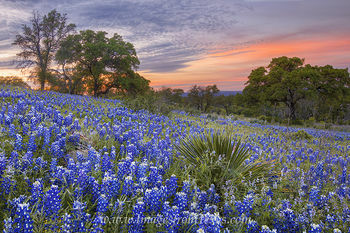 The Hill Country has received a lot of rain this fall and winter. 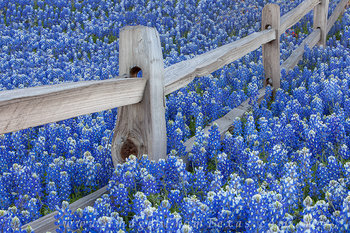 As we head into spring, the bluebonnets are thirsty and fading because of the lack of moisture. 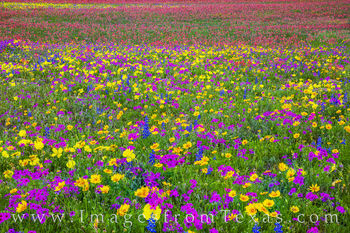 What had potential to be one of the better blooms in many years now looks to be about average. 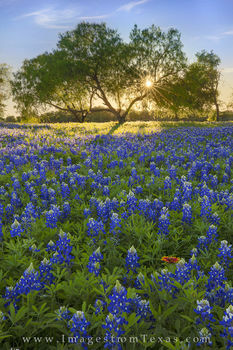 The cooler temperatures have slowed the bluebonnet bloom, as well. 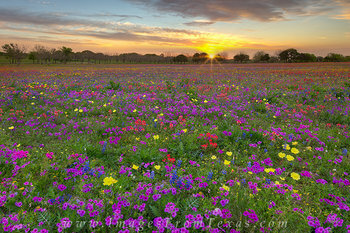 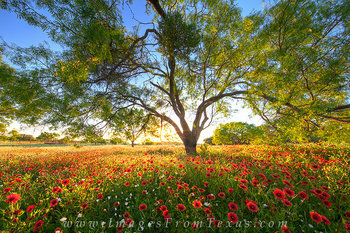 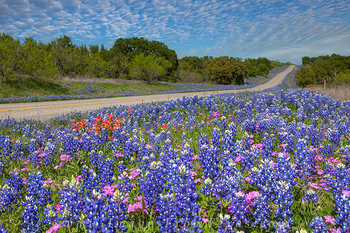 Peak bloom in the hill country looks to be around the first or second week in April, and how thorough the coverage will be really depends on rain. 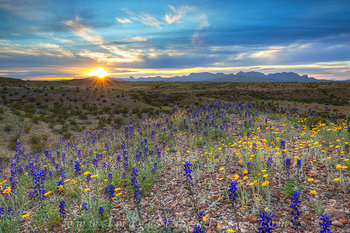 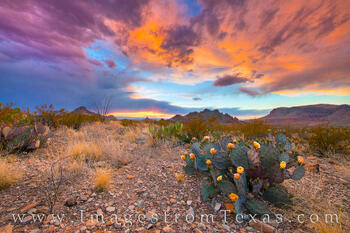 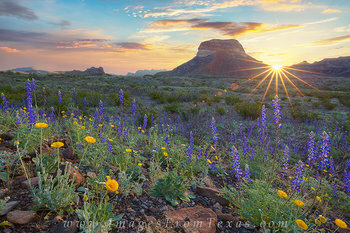 Out in west Texas, a superbloom of bluebonnets filled the slopes around the Chisos Mountains. 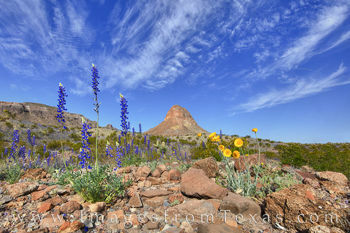 Though bluebonnets are fading out there, prickly pear and desert marigold, along with a variety of other colorful desert flowers, are showing up across that rugged landscape. 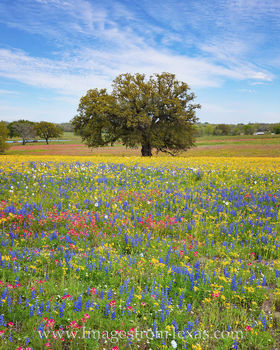 Each spring across the state of Texas, bluebonnets and many other wonderful Texas wildflowers explode in a variety of shapes and colors. 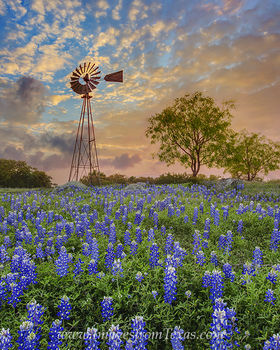 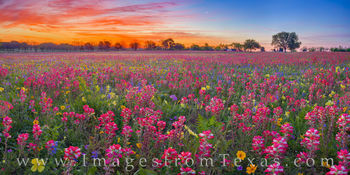 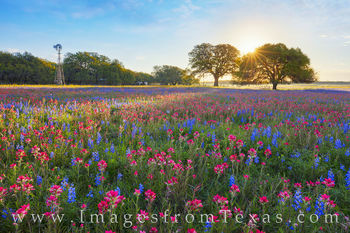 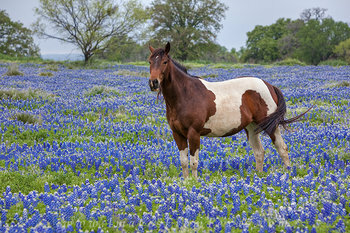 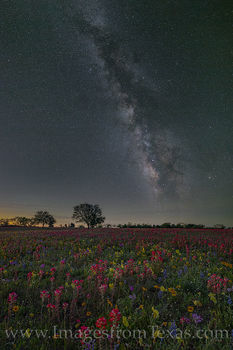 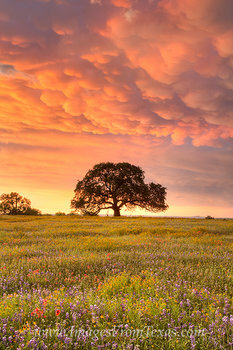 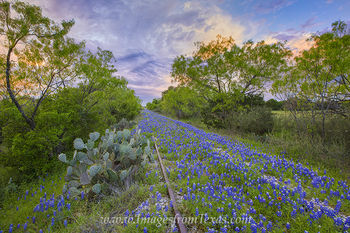 These bluebonnet and wildflower images in this gallery come from across the Texas Hill Country, as well as other areas such as San Antonio and Waxahachie to east Texas. 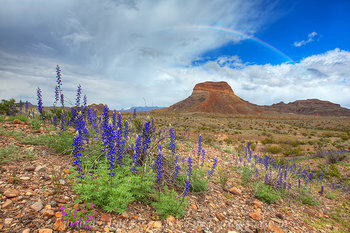 The landscapes found in this gallery are available for both commercial and personal use, such as licensing and as fine art prints. 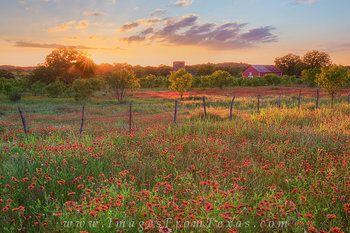 From Indian paintbrush to firewheels to sunflowers, these colorful flowers bloom throughout the spring, and these fields of red and gold often seem to stretch to the horizon. 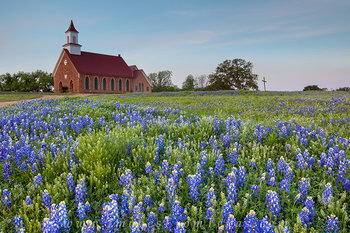 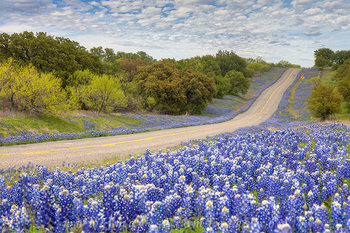 In April, colorful splashes of bluebonnets can line the roadsides as the county roads wind their way through the rolling hills, and I've driven many miles in search of the perfect angles and wildflower coverage. 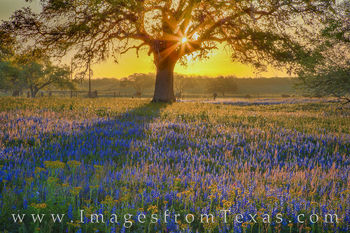 Earlier in spring, in mid to late February, golden daffodils bloom in east Texas near Gladewater. 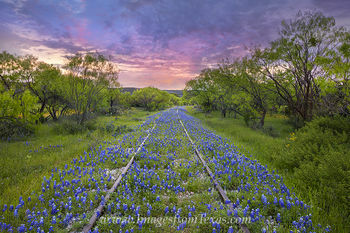 These rare flowers last only for a few weeks, then fade and are gone. 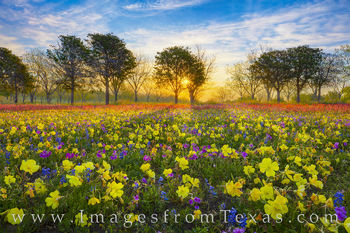 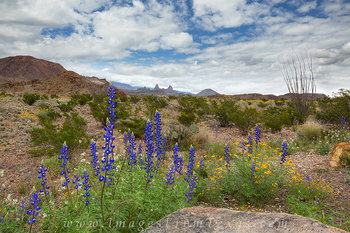 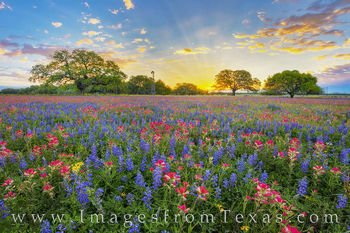 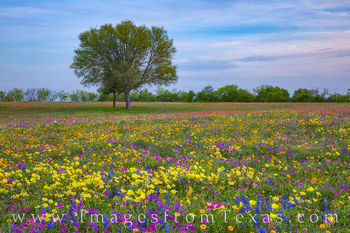 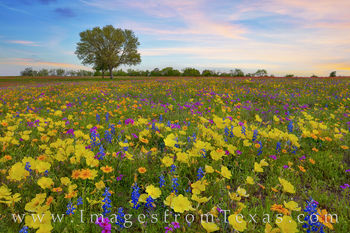 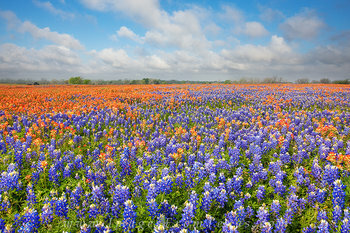 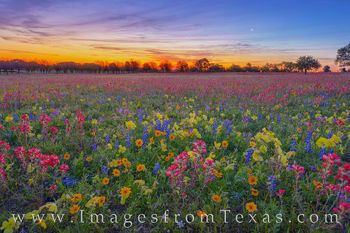 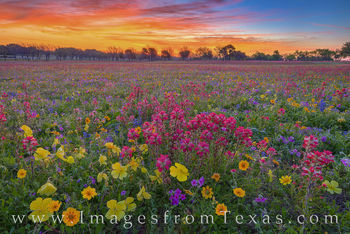 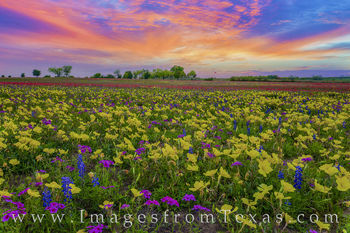 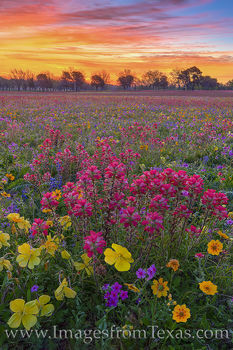 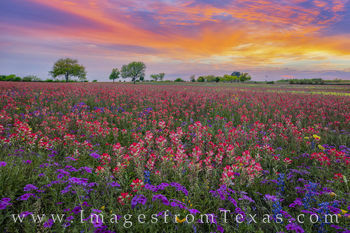 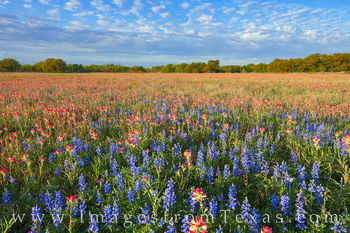 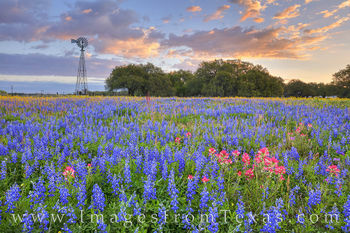 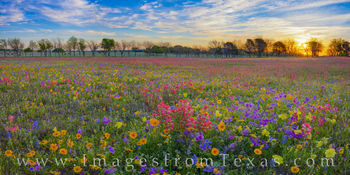 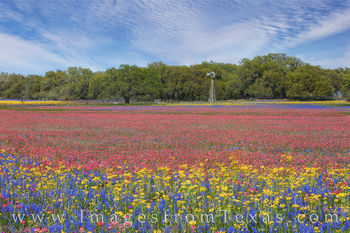 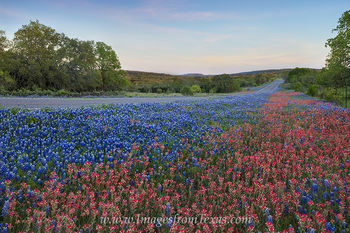 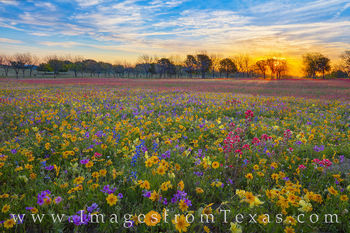 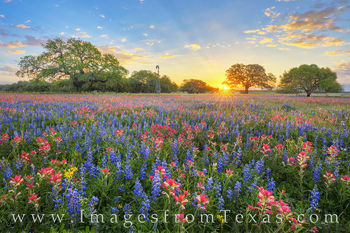 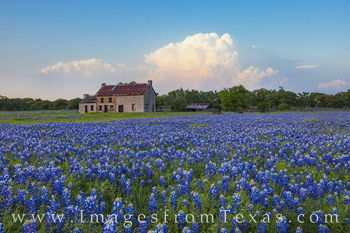 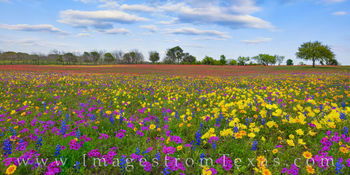 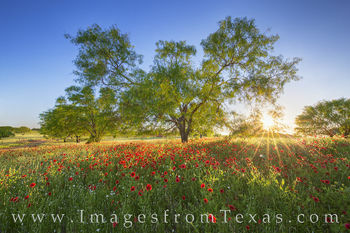 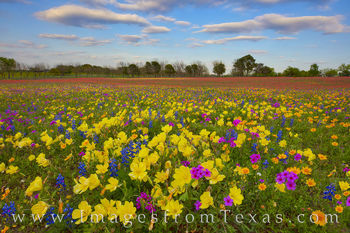 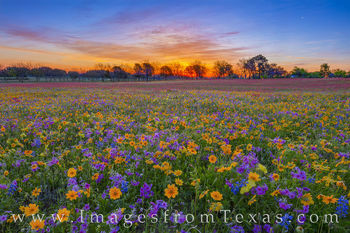 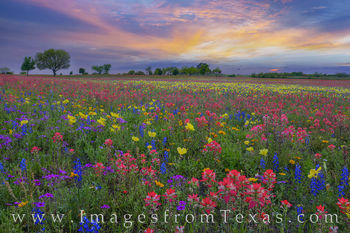 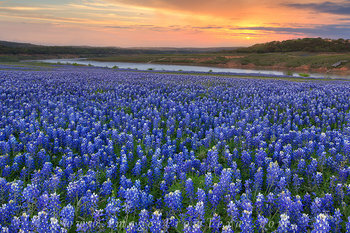 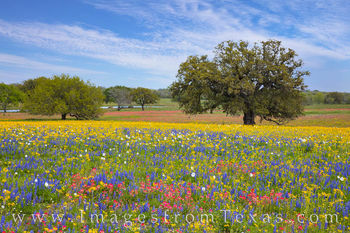 I hope these pictures of bluebonnets and other wildflowers can convey the beauty that covers the fields each spring. 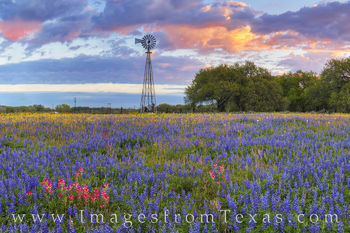 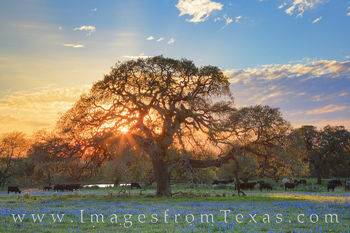 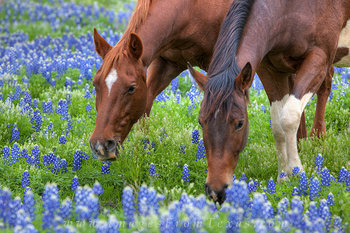 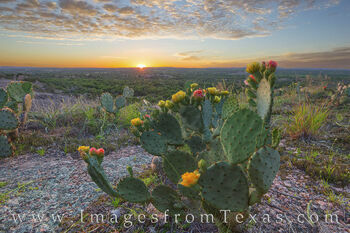 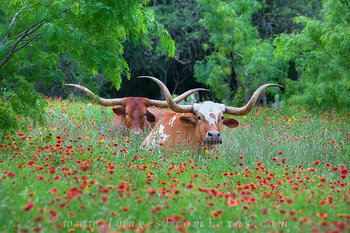 Some of my favorite bluebonnet images come from the Mason/San Saba County line. 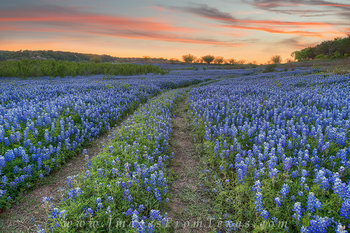 One spring during peak bloom season, I waited for a potentially good evening for sunset. 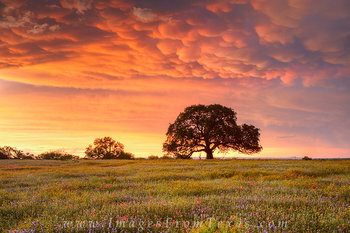 Finally, the weathermen forecast storms to roll through the hill country during the afternoon, then clear out by evening. 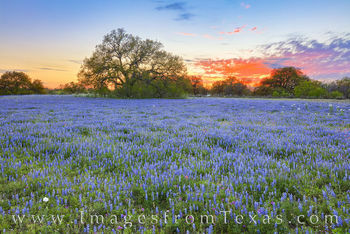 I loaded up the car and drove the nearly 2 hours to reach the dirt road where the bluebonnets were in full bloom. 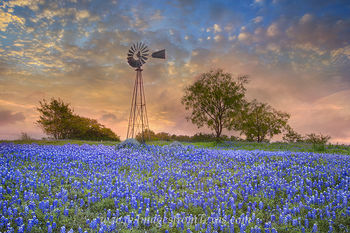 For almost two hours I enjoyed the silence of a magical sunset setting over a motionless sea of Texas bluebonnets that stretched to the horizon. 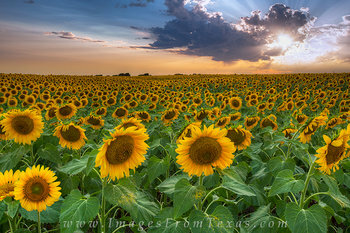 On another occasion, I was on my way to photograph the Dallas skyline for a client when I decided to take some back roads off of I-35 between Hillsboro and Waxahachie. 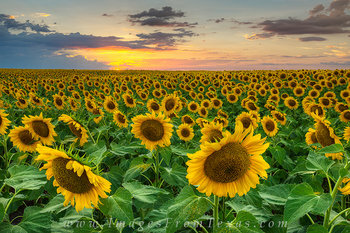 To my excitement, I found fields of golden sunflowers that grew as far as I could see. 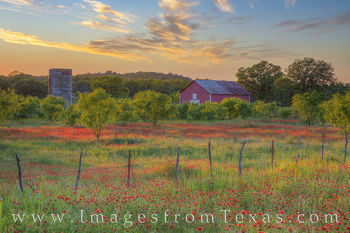 I made the 3-hour drive several more times to photograph this field at sunset. 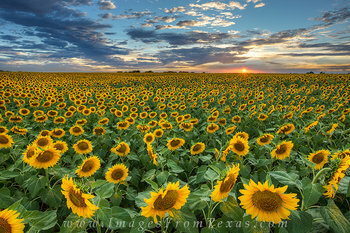 I have not seen sunflower fields since then that could equal its beauty. 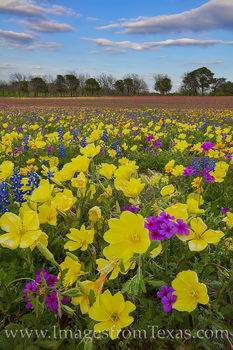 Even in the fall, with enough rain, golden wildflowers in shades of orange and red appear along the roadsides, on mountains slopes, and in fields in between. 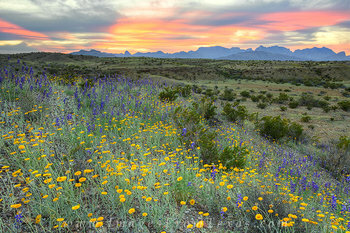 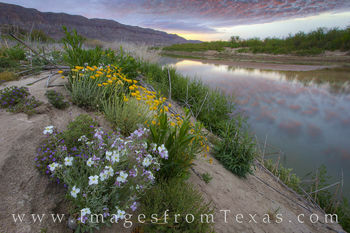 I’ve seen yellow wildflowers on the summit of Oso Mountain – the tallest point in Big Bend Ranch State Park – to the banks of the Pedernales River. 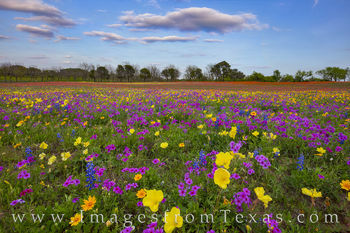 The wildflowers of our great state are beautiful!